At the time of writing (Thursday 12th) I have just celebrated my 25th birthday and as sit in front of my laptop today I find it genuinely hard to believe that when Click started over 300 articles ago that I was a teenager – Where has the time gone? To digress I plan on taking everything a little bit more easy today and as a couple of readers have recently contributed some interesting questions and comments I thought I would leave the article predominantly in their hands today! I personally found all these websites of interest and hope that Click readers may be able to get something from them. Currently I have the Symantec Antivirus however this version doesn’t have a spam filter with it.Someone I spoke to suggested Spam Shield 3 but before I download it is there anything you could recommend? 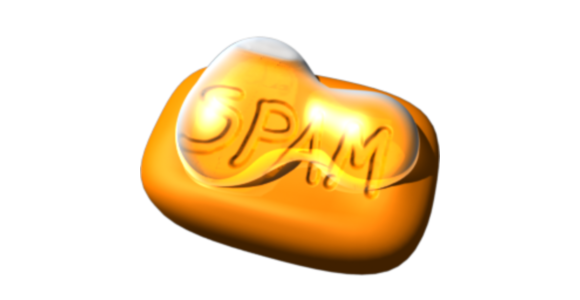 Whilst I have very little experience of spam filters one thing that strikes me about Spam Shield is that you have to pay for it which is something that I always avoid whenever possible.A reliable free alternative would be a product called Mail Washer which can be downloaded for free by heading to www.mailwasher.net.The program works in the background checking your mail server directly so it doesn’t matter which mail program you use to read your e-mails.It has the ability to accept e-mails from recognised addresses only or to refuse e-mails from known `spammers´.By working slightly more intelligently it can also read the e-mail and attempt to assess whether it is junk or not and you can also view and delete e-mails on the main server before you download them in order to save wasting time downloading junk.Any mail that is deemed to be junk mail can be `bounced´ back to the sender to make it appear that your e-mail address was invalid which would hopefully mean they’ll remove you from their lists. It has been a while since you touched the subject of PDAs (Personal Digital Assistants) or WAP phones but I still thought it would be worthwhile contributing that any readers with one of these devices may be interested to know that a number of internet pages are specially designed for them.The easiest way to find these sites would be to head to www.google.co.uk/pda orwap.google.com.Users will find using these search engines to find relevant pages a lot more productive trying to navigate conventional larger websites on a device boasting a small screen and typically slower Internet connection. That’s it for this week.Please do keep your suggestions and comments coming in as I would like to be able to continue keeping this article fresh and interesting well in to my thirties!